While neighbors, business owners, policymakers and service providers may agree that addressing homelessness is our city’s top priority, we may have widely differing views on how to solve this issue, how to fund chosen interventions and what outcomes to demand. 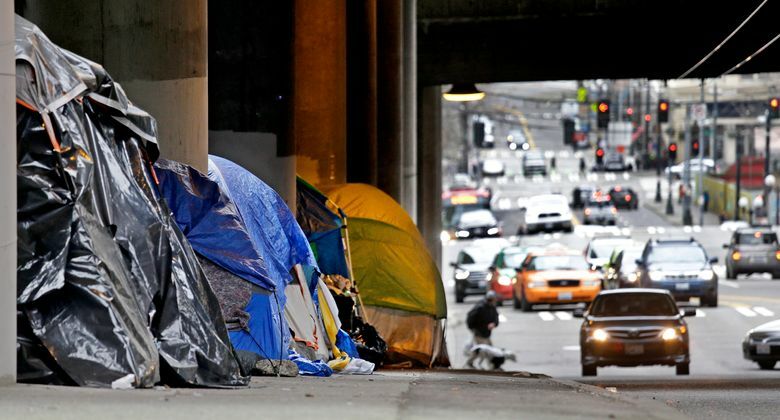 Despite continued record population and job growth, Seattle continues to struggle with one critical issue: homelessness. If you live in Seattle, you see this humanitarian crisis every day, which is a symptom of man-made, human conditions. Seattle’s Progressive Revenue Task Force recommendations will be presented to the City Council’s Finance & Neighborhoods Committee at 2 p.m. March 14. 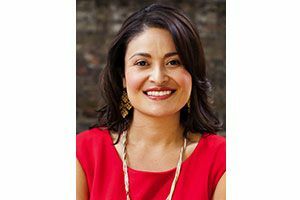 Seattle Council Member M. Lorena González is serving her second term in citywide position, District 9. She co-chaired the Progressive Revenue Task Force with fellow Council Member Lisa Herbold (West Seattle, District 1), and community members Tony To and Kirsten Harris-Talley. I, like you, see the vestiges of a system that has failed to address the scale of the interrelated crises of affordability, addiction and homelessness. There is universal agreement that homelessness has reached a breaking point, and the status quo is unacceptable. But that shared understanding ends there. People experiencing homelessness are generally victims of complex mental, physical, societal and/or economic conditions. People experiencing homelessness are also the product of decades of governmental divestment. They are a daily reminder of our failure to fulfill a social contract to take care of one another. I am ashamed of this failure. We all should be. Dating back to the Reagan administration, government has systematically divested in the very people we now see wearily wandering through our city seeking refuge wherever they can. Exacerbating the problem are state laws that severely limit localities’ taxing authority to primarily property and sales taxes — each layered with its own restrictions. This is why last fall I agreed to convene stakeholders to discuss progressive revenue options, including an employee-hours tax (also called a head tax), that might be available to the city to address homelessness. Focusing on progressive revenue options was also influenced by a desire to (1) seek a funding nexus tied to the drivers of growth and displacement and (2) remove focus from working-family property owners who are bearing the burden of property and sales taxes in an already expensive city. Although the city currently invests $63 million in homelessness, the needs of homeless Seattle residents far outpaces the rate of city investments in human and social services. Some businesses claim that an employee-hours tax is unnecessary because the city simply needs to better spend our $1.27 billion budget. This is simply not true. First, compared to investments in public safety (53 percent), we spend just 4.9 percent of our existing budget on our city’s stated top priority: homelessness. Second, the issue of homelessness is complex, involving strategies that require investment in prevention, shelter services, housing and transition from homelessness to stability. Homelessness is also fundamentally rooted in institutional racism, criminalization, income inequality and a broken health-care system. Although we have seen measurable improvement in outcomes and imposed significant accountability to make sure human-services money is well-spent, we would see greater impact if we invested further in interventions that are showing promising results. While I support a regional approach, I hope that King County’s “One Table” process between elected officials, business leaders, local philanthropists and service providers results in a less regressive revenue source than a sales-tax increase currently under discussion. If indeed we could build a regional strategy with greater resources that does not rely so heavily on sales or property tax, I would be very interested in that package. Until then, Seattle must continue to look at ways we can generate additional needed resources using the few tools we have at our disposal. This does not mean that taxpayers should allow the city to invest resources with no accountability. That is why I have been working with the city auditor, service providers and unions representing our human-service workers to identify the parameters of undergoing a first-of-its-kind audit of the city’s Human Services Department’s operations and management. Asking to invest more means looking at our own fiscal discipline within the human-services area and beyond. Every night I nestle into my warm bed with immense gratitude for my privileged reality. It is an achievable reality I wish to create for others that our diverse and innovative city can accomplish by working together. While no one relishes the idea of paying a little more for human services, it’s a small price to pay for a more humane, safe and secure future for the most vulnerable in our community.